JULY 1987 Appetite for Destruction was released and it blew everyone including me away! i have been a HUGH fan ever since! http://en.wikipedia.org/wiki/Appetite_for_Destruction it is one of the all time best selling albums in the WORLD. listed as 500 of the best albums ever made! 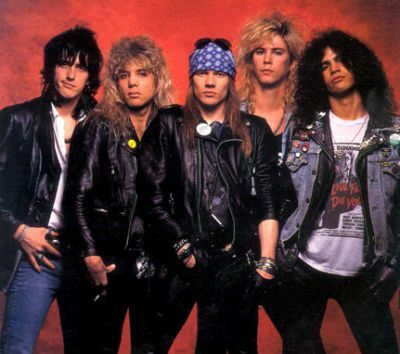 Guns n' roses is truly what Rock and Roll is all about.i just hope someday they will all reunite for a concert tour and i can watch what is truely one of the best Rock and Roll bands ever!